Did you know that you can actually dissolve chin fat permanently with just a few injections? In today’s session I had the pleasure of treating a lovely Mum and the best thing about it? Immediately after treatment the area was inflamed showing that the product was starting to work. Local anaesthetic is used for patient comfort, followed by a series of injections under the chin. Inflammation and swelling increases for 2-3 days after the procedure before it starts to settle again. Results will show at 6 weeks with a repeat treatment usually recommended. Be sure to stay tuned because I can’t wait to show you more treatments very soon. Note: The video clips were taken with the patient’s consent. The lighting conditions and patient’s pose in the before and after photos were taken in as close as possible conditions. In this episode I’ll be talking you through a cheek and tear trough filler procedure showing you and discussing the pros and cons of using a cannula and needle to inject dermal fillers. A cannula is a blunt plastic tube that is introduced to the skin using needle. As the cannula is blunt, it is less likely to penetrate through important vessels and is less traumatic to underlying tissues, this means there will be less swelling and bruising. A cannula also allows for fewer injection sites which is more comfortable for the patient. The use of cannula can be quicker than a needle but this does depend on the area being treated. For the cheek filler treatment, first an incision is made with a 25 gauge needle, this provides the opening for the cannula to be inserted. The needle is then removed and the cannula passed through the entry point to below the skin surface. The cannula can re-enter in the same injection site and so allowing for filler to be deposited in multiple areas with just one entry point. Needles are great because they give you more control on the areas you’re injecting, allowing you to give small precise deposits of filler. That being said, you will require more injection sites. First up the area is cleansed and the safety zones to be injected are marked on the face. Several ultra fine needles are used to deposit small amounts of filler along the boney prominence of the face. After the injections the filler is massaged into place. When deciding which method to use it depends on a number of factors. - Needles are considered to be more precise and can be injected deeper into the issue, but do require more injections to be made, which for the patient can be the most wince provoking part of the treatment. - The patients experience and expectations play another factor here, most patients may have experience or at least know what to expect from a needle. With the cannula, while generally more comfortable, you can still feel it moving under the skin, which can present a new and un-natural experience. So the patients experience level and preference is important to consider. - The areas being treated especially in regards to the surrounding anatomical structures need to be taken into careful consideration. As the cannula is blunt, it is less likely to penetrate through important vessels and is less traumatic to underlying tissues, this means there will be less swelling and bruising. - However, the most important factor is your cosmetic practitioners preference and experience level. As a practitioner with more experience with one technique will perform better than using another. The traditional pathway for a cosmetic practitioner is to start with needles as they can be used for both dermal fillers and anti-wrinkle treatments, whereas cannulas are primarily used for dermal fillers only, so that is why you may find that not all practitioners are trained for the use of cannula and so the outcome does depend on the providers experience and technique, because you don’t want to be their first. This video was taken with the patient’s consent. This lovely lady had a great response from anti-wrinkle treatment. 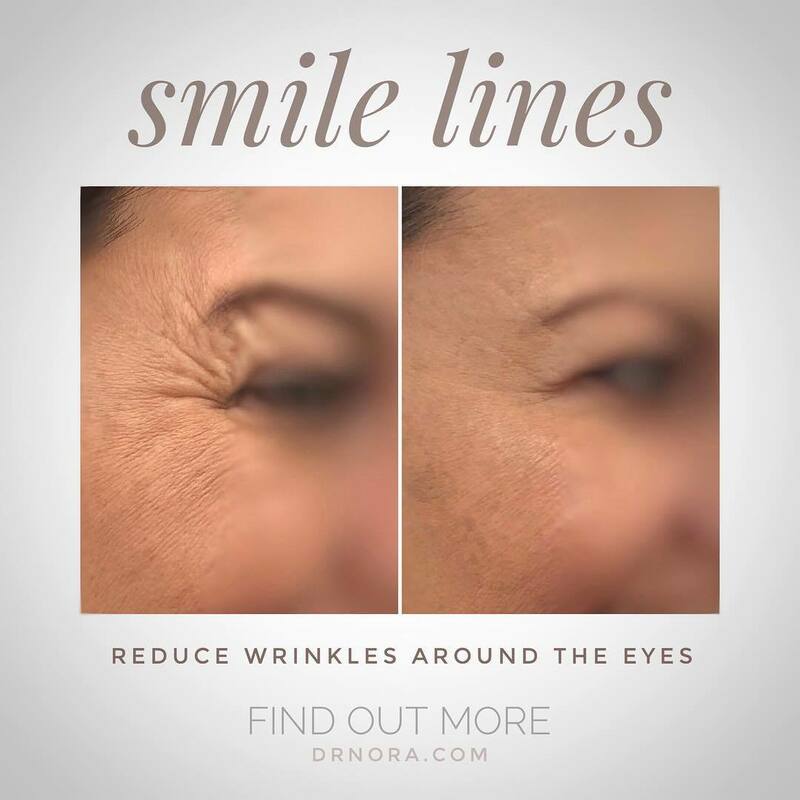 Not only did it help to reduce those deep and soft lines but it’s also helped to open up her eyes, giving a fresher appearance  Anti-wrinkle therapy is quick and easy with optimal results at 2 weeks and treatment lasting 3-5 months, you can carry on being expressive without the lines! If you have any questions or would like to find out more pop by and see me in clinic. In this episode we interview our patient after their SculpSure treatment targeting inner-thigh fat. Giving you first hand experience on what to expect after 3 months and most importantly if the patient would do it again. During our childhood and adolescence we have a set number of fat cells that remain with us throughout our adult life. It’s the changes in the volume of the fat cell that causes our weight to rise and fall. The problem is that fat cells are unevenly distributed among our body so while diet and exercise does reduce the size of the cells it doesn’t re-distribute them, leaving you with pockets of hard to shift areas. This is the foundation that most fat reduction treatments are based on. Stubborn pockets of fat are heated by laser up to 42-47C damaging the integrity of fat cells in the subcutaneous layer. This form of fat reduction is licensed for areas including the tummy, love handles, back, inner and outer thighs and more recently the under chin area. SculpSure takes 25 mins and 2 areas can be treated at the same time. It is reported that this method can reduce up to 24% of fat in a given area. The main side effects that can occur, include a hot sensation which doesn’t burn but can feel pinching or tingling, bruising and firmness is also noted in the area following treatment. Again, depending on the client 1-2 treatments are recommended with prices from A$600 per treatment. Full effects are to be noticed at 3 months. In the next episode we catch up with our patient 3 months down the line and sit down one on one to find out how the post-treatment went and what results they experienced. In this episode we follow a patient through their SculpSure treatment targeting inner-thigh fat. Showing you how the treatment is carried out, the intensity levels of the heat and what to expect.